Our family run B+B is in the cosy Newcrofts cottage. 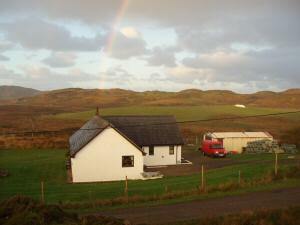 It is in a peaceful rural location, overlooking our croft land with chickens in the garden. It has off road parking.